Today we have the four fabulous authors of the Hot Aussie Heroes series from Holiday Books here with us! We’re celebrating the release of the books on all platforms – you can now find the Hot Aussie Heroes at Amazon, Nook, iBooks, Kobo, Google Play, and Smashwords! 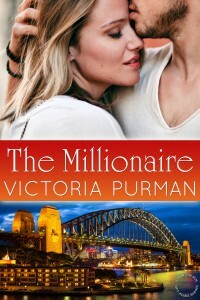 But for now, let’s talk about Victoria, Madeline, Amy, and Margareta’s favorite real-life hot aussie heroes! Take it away, ladies! Why does Hollywood head directly Down Under when it’s looking for a hot guy to grace our screens and fuel our fantasies? The answer is simple. We have, pound for pound, the sexiest actors around. My evidence of this? Not only has he been described as the Sexiest Man Alive (thanks People magazine but we knew that already), but he’s also been described as The Manliest Man in Hollywood. Like a tall guy? Chris is 6 ft 3 and, as we say in Australia, he’s “built like a brick shithouse”. (translation: he has a manly physique). He surfs and is an outdoorsy kind of guy. Love that. And that voice of his? Mmm mmm. Deep and rugged and don’t we all love an Australian accent? And we don’t mind in the slightest that he’s married to a gorgeous and talented women, Elsa Pataky and they have three children, because like any dad he worries about being a good father. Adorable, right? And men who can laugh at themselves are hot. Another actor bearing (but not boasting) the title of Sexiest Man Alive, Hugh stole the role of Wolverine and owned that testosterone-and-rage-fuelled beast. He’s got strength, intensity, and broodiness to boot. Let’s be honest, not many men could make hair-horns look hot, but Mr. Jackman manages just fine! Then there’s the man off-screen: Honest, gracious, and good-humored. He’s Hollywood’s baddest good guy. Did you know that despite his hectic schedule while playing Wolverine, Hugh drove his son to school every morning? He plans his workdays around his kids. That’s right – a family man. Swoon. He’s also diverse. He can run and bellow and fight like a powerful mutant. He can sing and dance on Broadway. And my personal favorite, he’s even played a closet Australian outback romance novelist in ‘90’s film, Paperback Hero. Loved that movie! So many gorgeous traits and we’ve crammed them all into our Hot Aussie Heroes. Good thing the series is digital only – those pages would be singeing! 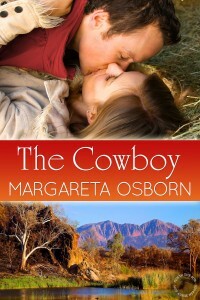 The rugged yet ‘boy next door’ look on a man is so appealing especially when you write books set in the Australian outback like me. While Madeline’s Hugh Jackman certainly slots into this ‘rugged Aussie’ category, up-and-comer Sam Worthington has also joined these ranks. A bricklayer (think rudimentary body building) before he turned to the thespian arts, Sam is a keen surfer (tanned and running semi naked from the Gold Coast surf, a board under his arm into your arms … Yum!). He has also been described as one of Australia’s most likeable leading men (efilmcritic.com). He’s got smiley eyes, a youthful, strong and earnest face. There’s a set of square shoulders, and a light pattern of chest hair covering a solid torso that leads down to … well, the rest. Transforms the world, but will sit down for a drink? Is eye candy of the finest kind? Which bar shall we meet at, Sam? You can also bring Hugh if you like. Coming Madeline? 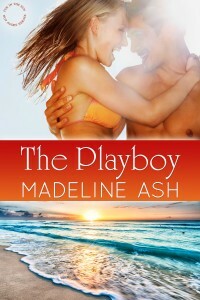 Is it hot in here, or is it just the Aussie Heroes, fictional or not? As a thank you to all book girls, we’re giving away a Tule <3 Book Girls tote stuffed with books and swag! Tell us in the comments who your favorite hottie is, in life or in books, and you’ll be entered to win! Winner to be announced next Friday, May 8th. In the meantime, download your copies of the Hot Aussie Heroes from any retailer! Happy reading, book lovers! James Fraser form Outlander or Mr Darcy from Pride & Prejudice. I am pretty fond of Kevin Costner and Georger Clooney. I’m a little fond of Mark Harmon, Alan Rickman, & Colin Firth. These are wonderful books!! I’ve only read 2 of them, but thoroughly enjoyed those 2. Colin Firth and Richard Armitage. I’m a huge fan of George Clooney (love his sense of humor along with his looks and acting ability) but these days I also think Scott Eastwood is really attractive. In real life, my hubby of 29 years. In reel life, Hugh Jackman. I’m an Avengers fan, so can I have Iron Man & Thor & Dr Banner & Loki & Haweye…? My fav is ROARKE in J D Robb’s IN DEATH series. In real life, it’s Sean & George.